Choreography : Jose Antonio Ruiz . 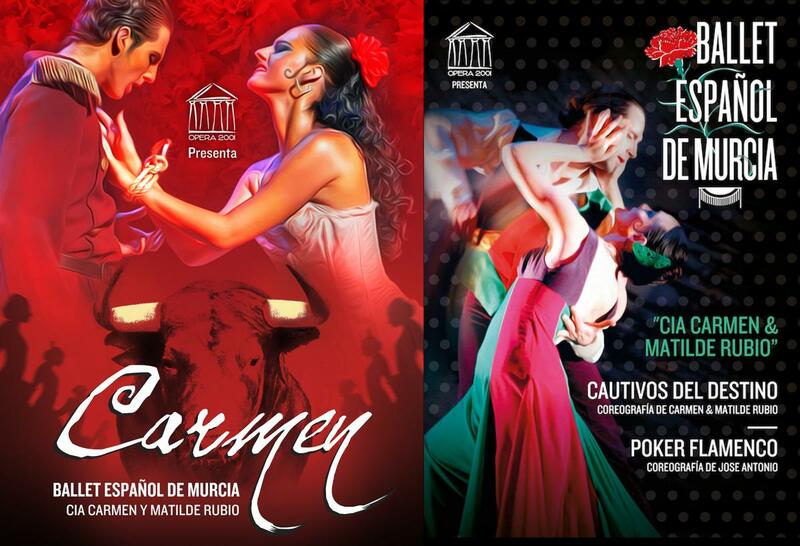 The Ballet tells the story of the gypsy Carmen, who the writer P. Mérimée made immortal after traveling through the picturesque Andalusia of the 19th century. Carmen, a gypsy cigar maker of great beauty and peculiar life, crosses paths in life with José, an exemplary soldier stationed in Seville, serious and dutiful, who ends up transforming her into a deserter, bandit and assassin. The changing feelings of Carmen and the love triangle that forms when Carmen puts her eyes on a famous bullfighter, lead to the fatal outcome. The adaptation for this Spanish Ballet, shows a capricious Carmen and firmly convinced of the freedom with which she lives her life and her decisions, bewitching the men who cross in her destiny ... the fatality and the tragedy will become her undoing. It is the decision one must make before the different options, roads and the choice between them. When your life is directed to a strong vocation, there is no return, it envelops you forever, because you are captive of destiny.